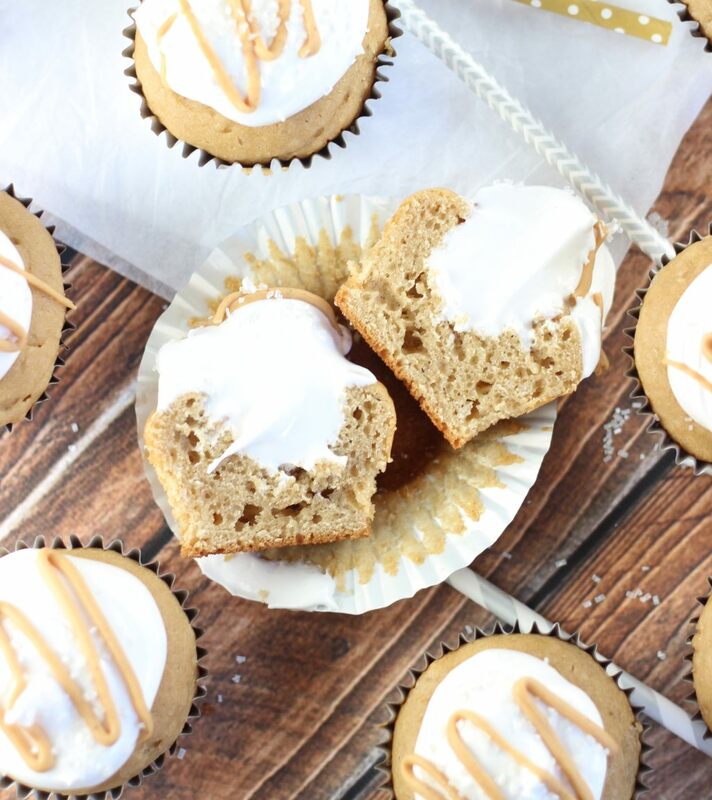 Simple peanut butter cupcakes, filled and topped with homemade marshmallow frosting! Heeeey… we’ve been down this road before: fluffernutter! 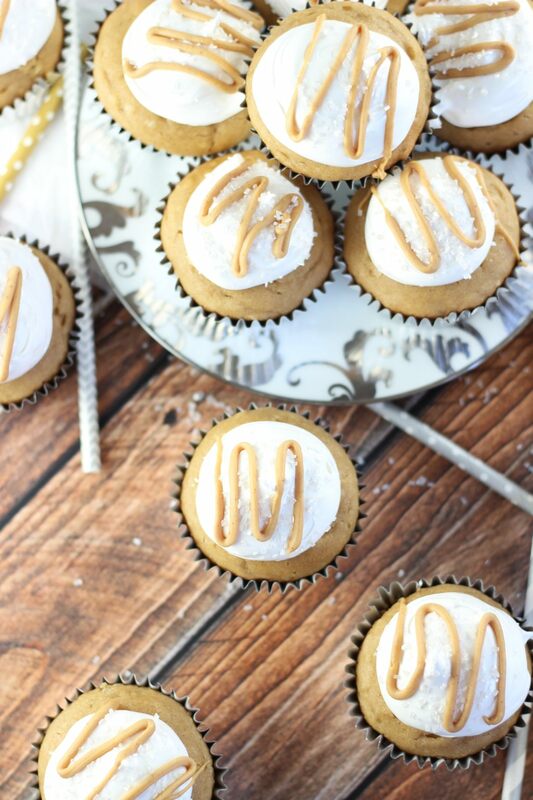 Let’s face it, there’s a world of peanut butter dessert opportunity out there, and I’m determined to scour my brain and the internet for all of our options. 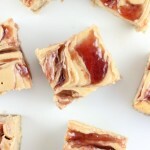 I won’t stop til I have single-handedly collected the world’s largest repository of peanut butter recipes. 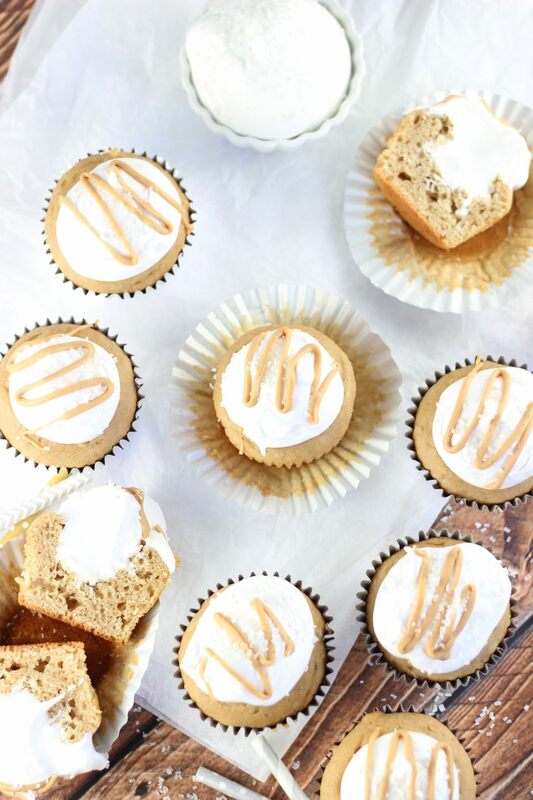 But even though there is much creative opportunity with peanut butter, it doesn’t mean we won’t end up repeating flavors here and there. Sure, there’s a lot of original ways to use it (I did combine it with coconut, you’ll recall), but there’s only so many flavors that peanut butter goes with. Fortunately, it’s quite a lot of them, but we may need to recycle. Hence why we now have Fluffernutter Cupcakes after having Fluffernutter Fudge, Fluffernutter Parfaits, and Fluffernutter Cookie Bars. I may also have a Fluffernutter Milkshake coming up. Can you ever have too much fluffernutter in your life? NO. A resounding NO! Never. 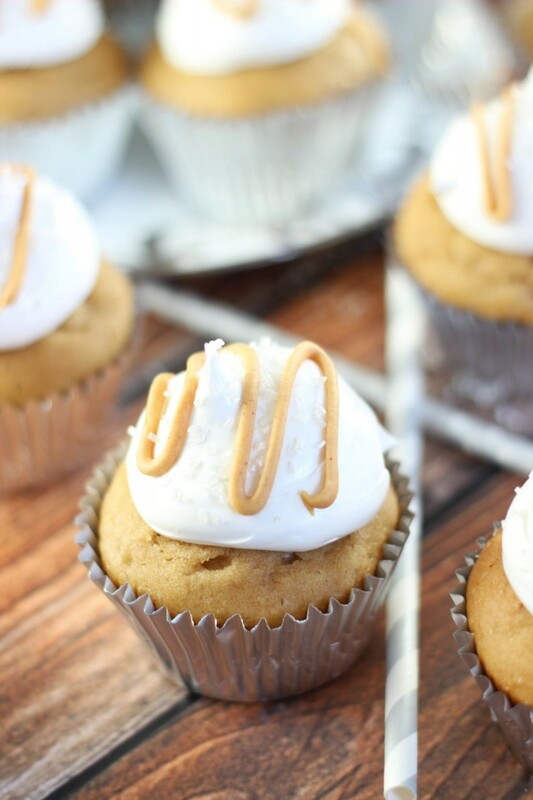 These peanut butter cupcakes are my favorite because the peanut butter flavor is intense. The only way it ever should be – front and center. They remain moist and fluffy though. 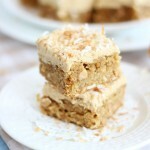 With all the peanut butter in there, you might worry that these would be dense and heavy, but they still retain a nice lightness. And the marshmallow filling and frosting. 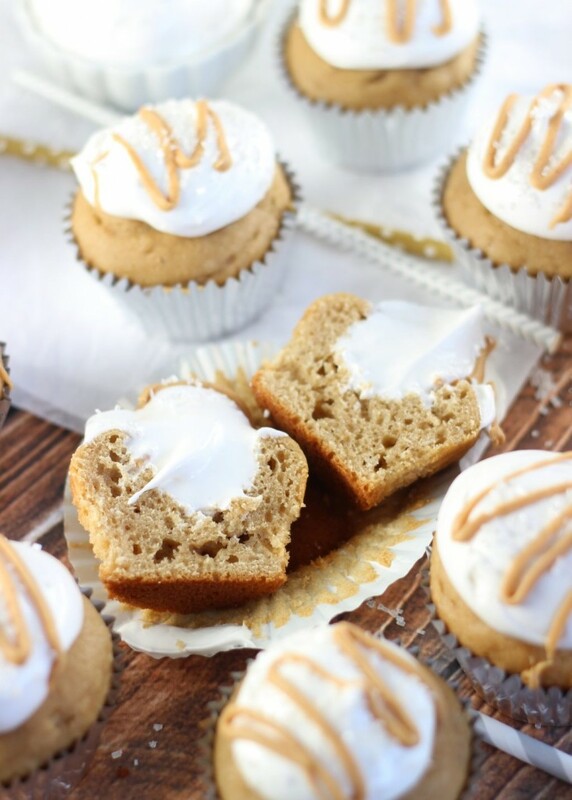 I was so torn about whether to fill these with marshmallow and then top them with peanut butter buttercream, or to top them with marshmallow and fill them with nothing. 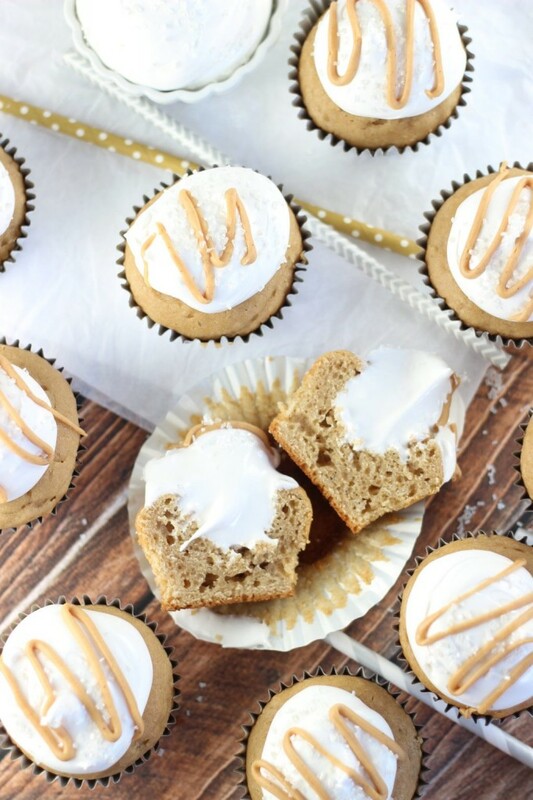 You know what, there’s a lot of peanut butter here already, so I went all out with the marshmallow and filled them AND topped them with homemade marshmallow frosting. It was a good decision. No regrets. 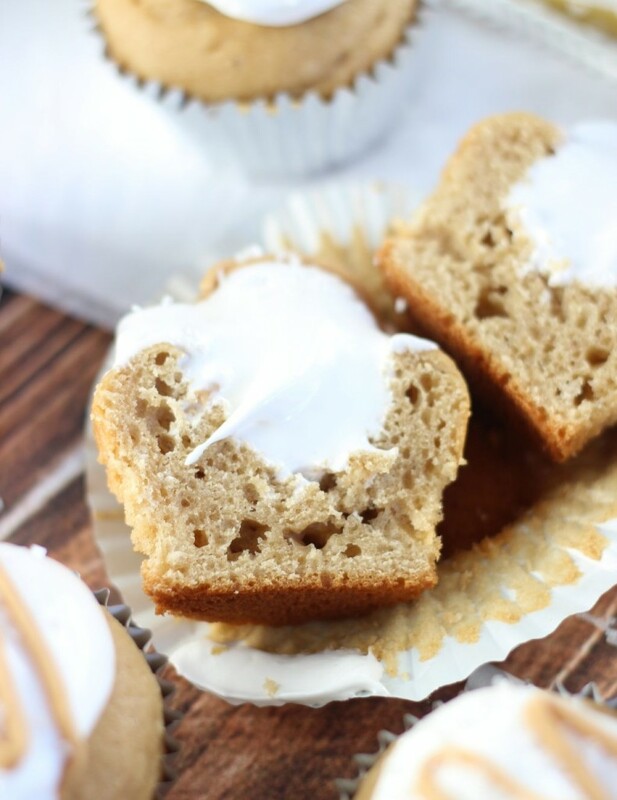 So much fluffy and sweet homemade marshmallow frosting…. which, by the way, that stuff is just plain fun to make. If you’ve never made it before, it’s a little bit of a process, but it’s fun and worthwhile. The resulting sweet cloud of marshmallow goodness is worth it. It’s so light and airy. 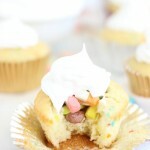 The cupcakes are a cinch, and the marshmallow frosting takes a small amount of cooking, but then you just let the mixer do all the work – beat the heck out of it for a few minutes. 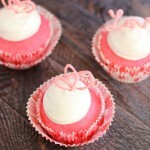 The frosting comes together quickly and easily too, and then you are good-to-go. 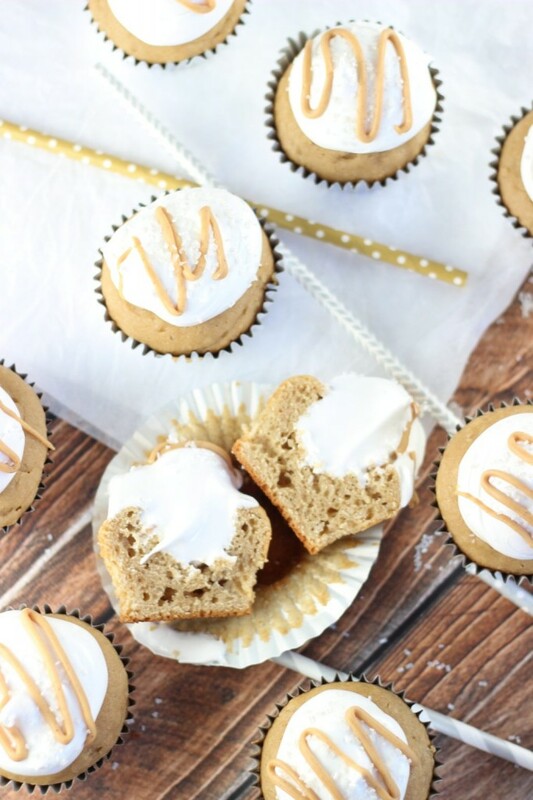 The Fluffernutter Cupcakes recipe that will change how you look at fluffernutter forever! 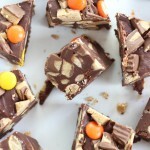 So much marshmallow and peanut butter decadence! I actually never had a fluffernutter until my adult life. I think it crossed the line of being an acceptable sandwich to my parents when I was growing up haha, which is funny because we had cookies up the wazoo all the time.